Arranging Compact, Convertible, Economy, Luxury, Premium, Standard, MUVs & SUVs Vehicles anywhere across the country is quite easy for us. 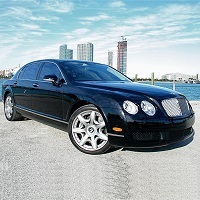 We are engaged in offering top-notch Car & Coach Rental Services. In association with varied vehicle providers, we can provide a car easy pick and drop solutions. In addition, we can provide Wedding Car Rental Services for special occasions. You can contact us for our services any time of the year.